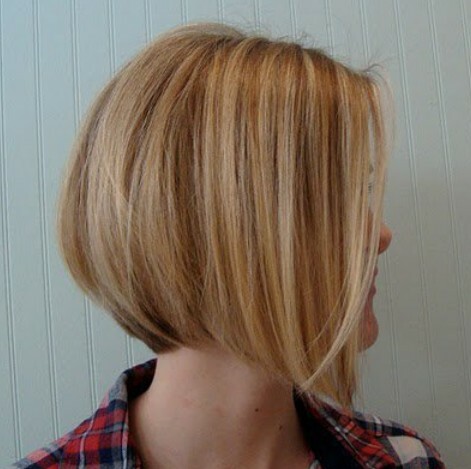 This classic bob cut is one of the easiest to style and with the interesting sweep down from the short back, always looks modern and trendy! It’s suitable for naturally straight hair with a medium or thicker texture, as a degree of natural volume is required to get the fully rounded shape. In this case, the simple long layers are given extra depth and dimension from the lovely blend of caramel and honey blonde shades. And the stack-cutting at the nape has been creatively lowlighted with a soft brown!